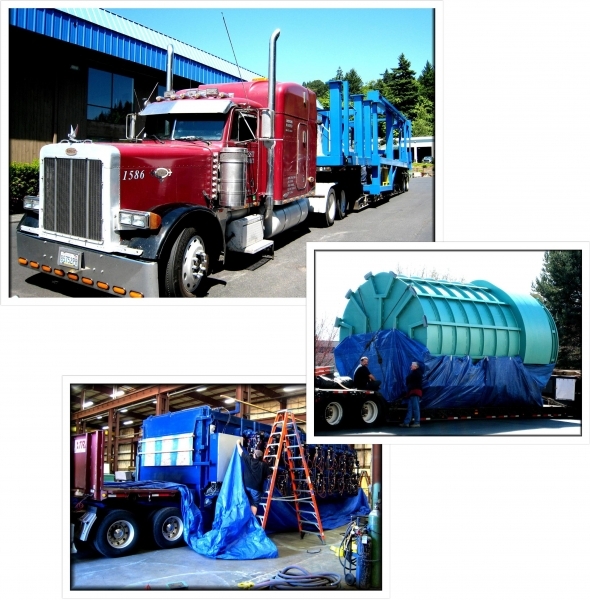 We are experienced in shipping even the largest industrial furnaces and ovens throughout the world. Visit our photo gallery for more Shipping photos. For more than 50 years, Kleenair Products Co. has been designing, engineering, and manufacturing custom continuous and batch Industrial Furnaces and Ovens, as well as full Automation and Material Handling Systems for Companies around the world, representing a wide cross section of industries. We have the experience and the expertise to deliver completely custom-built systems that are tailored to the needs of our customers’ unique applications. Manufactured at our facility in Clackamas, Oregon (USA), each system is pre-programmed and test fired to ensure customer satisfaction, then shipped factory-direct via truck or ocean container to your business anywhere in theworld. Heat Treating and Stress Relieving. Contact Kleenair Products', to find out more about our innovative industrial furnaces and ovens. Known for meeting or exceeding the highest standards for safety, productivity, efficiency and uniformity, we provide custom units for aerospace, military, and other demanding markets around the world.